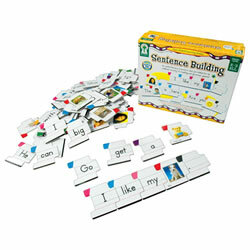 Watch children develop their language and literacy skills through interactive puzzles and games. 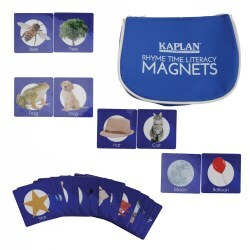 Kaplan offers games that focus on the alphabet, rhyming sounds, sequencing, matching, compound words, reading comprehension, and more. 3 years & up. No reading required for this set of pre-reading games. 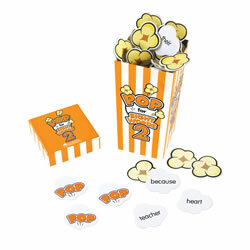 Strengthen critical thinking, classification and vocabulary skills with things that go together in the Classifying game. 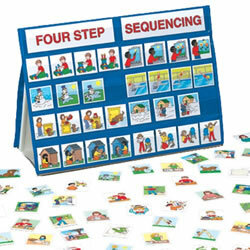 Develop logical thinking skills and strengthen visual discrimination with 3-scene picture sequencing. 42 pieces each. 3 years & up. No reading required for this game! 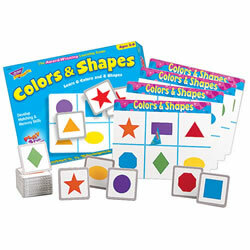 Only the right pieces fit together as young learners acquire an understanding of logical order. 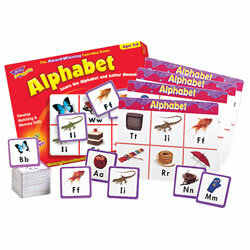 Includes 42 durable pieces with directions in English and Spanish. 4 years & up. 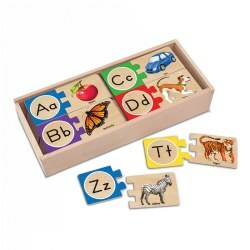 Extend literacy skills with 13 double-sided boards with familiar illustrations and 52 colorful uppercase and lowercase letters for matching. Sturdy wooden construction. 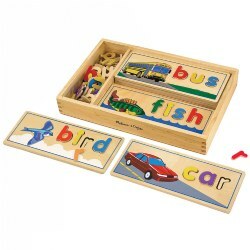 Encourages letter, word, and color recognition while promoting matching, memory, and fine motor skills. 3 years & up. 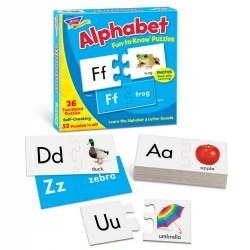 Learn the alphabet and jump-start reading skills. 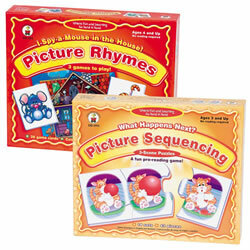 Photos reinforce letter sounds. 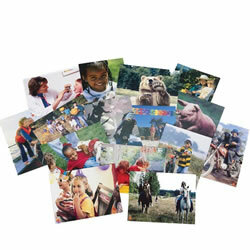 Format adapts to abilities and features interlocking pieces with photographs for easy recognition and retention. 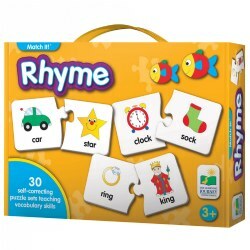 Includes 26 puzzles with self-checking design for 52 durable pieces in all. Made in the USA. 4 years & up. 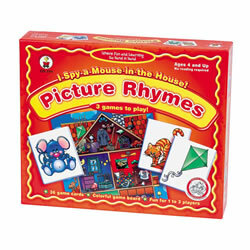 Strengthen visual discrimination, vocabulary, and phonics skills as you help the mouse in the house look for things that rhyme. 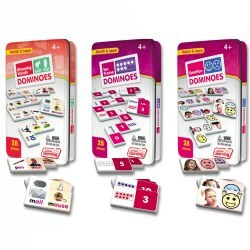 Includes 36 game cards and colorful game board. 1 to 3 players. 4 years & up. Close your eyes and listen to the sounds. 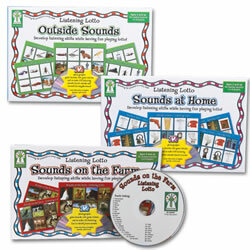 Did you hear an animal from the farm, a ringing telephone, or a cricket chirp? Sharpen listening skills as children listen to fun-to-identify sounds. 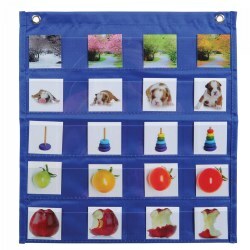 Each lotto game includes 12 photographic game cards, 120 game tokens and an audio CD. For 1 to 12 players. 3 - 6 years. 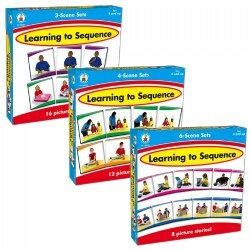 This matching game is an ideal outlet for children to use skills they've mastered! 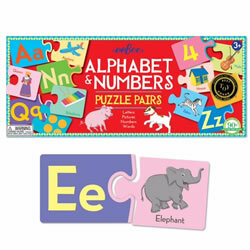 Cards and game boards are thick with rounded corners, washable surfaces, and real-life photos that delight little players. 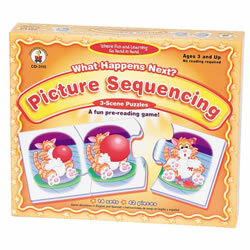 Instructions include multiple ways to play, allowing for varying skill levels. For 1 - 8 players. 3 years & up. 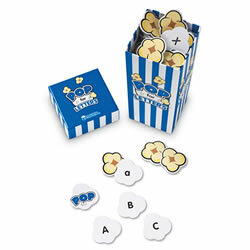 Match pictures to the alphabet and dots to numbers 1-10 to make simple puzzle pairs. Instructions included on back for more challenging skill building games. Each puzzle measures 2 1/2" x 6". 3 years & up. 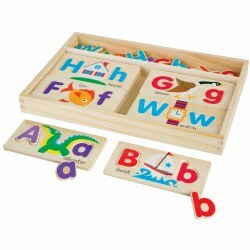 Discovering letters has never been so much fun! 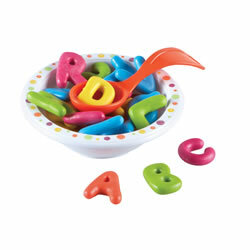 The soup bowl holds 26 colorful noodles from A - Z. Spoon out the letters to practice letter and color recognition while building fine motor skills. Spoon included. 3 years & up. 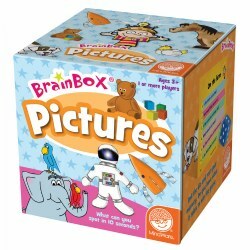 This fun game enhances cognitive and memory skills and features illustrated pictures of preschoolers' favorite topics. Players study the pictures-and-facts side of the card for 10 seconds, and then flip to the other side to see how many questions they can answer. 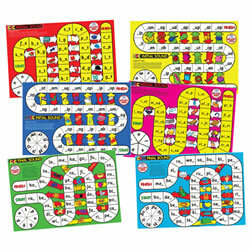 Includes 55 cards, a sand timer and a die.